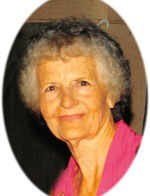 Jetrue Batson View Condolences - Newport, Arkansas | Jackson's Funeral Homes Inc.
"No sweeter person in the world! " "We are sorry for your loss. Ya are in our prayers🙏Amen and amen "
"Thinking of you all. " "We will Miss your smiling face!" We at Jackson's Funeral Home remember November 21, and the life of Jetrue Batson. It is our hope that this quote by Thomas Bailey Aldrich brings you comfort as you remember her today. "What is lovely never dies, but passes into another loveliness, stardust or sea-foam, flower or winged air." Condolence: We did not know about Jetrue until yesterday . Please know that Jetrue was a special and always friendly lady. May God Bless you all and comfort you in the days to come. Condolence: May you find comfort and peace in knowing that God will soon do away with death, sorrow and pain forever. Revelation 21:4. visit the website at JW.org to see Video on what happens when we die?